It has been a long while since I have blogged. An embarrassing, really LONG while. You can mostly find me mostly on Instagram these days for fresh pics. I just love the interaction and how far the images “travel” compared to other social mediums. I prefer creating images and writing is just not my favorite thing. Neither is sitting behind my computer, what can I say? I know I need to do this more often so that you can see what we’ve been up to. Happy 2019! Let’s talk about makeup! Do We Offer Hair and Makeup For Our Sessions? Why yes, we do! This is a question I get on occasion. Most often for maternity shoots, but sometimes with newborn photography session inquiries. I do not bundle hair and makeup into sessions for the simple reason that moms wish to have different looks. I think a natural look can be beautiful and I also think a refined and glamorous look can also be stunning. Professional makeup can be both, you can opt for lashes, but you don’t have to. The studio is all about customization, so I will work with your vision for yourself and baby. Mom may schedule makeup on her end and we will coordinate that with our schedule. We have found a gem of a makeup artistry company here in Kansas City I am so excited about! Clients can add it to any type of session. 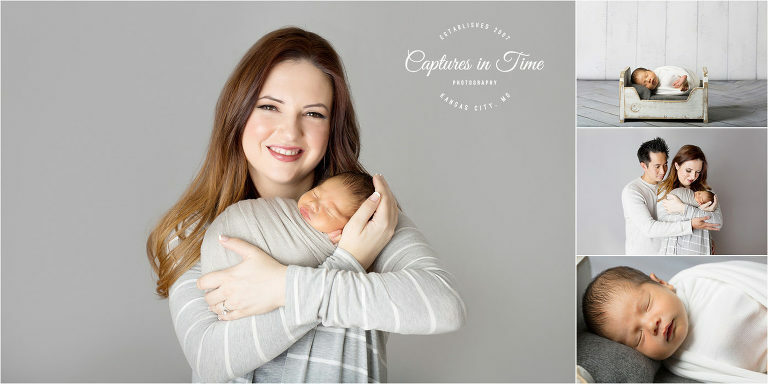 The amazingly gorgeous mom in the images below had a fabulous experience in the comfort of her home with Ashley at Hello Lovely. I can’t recommend them enough. 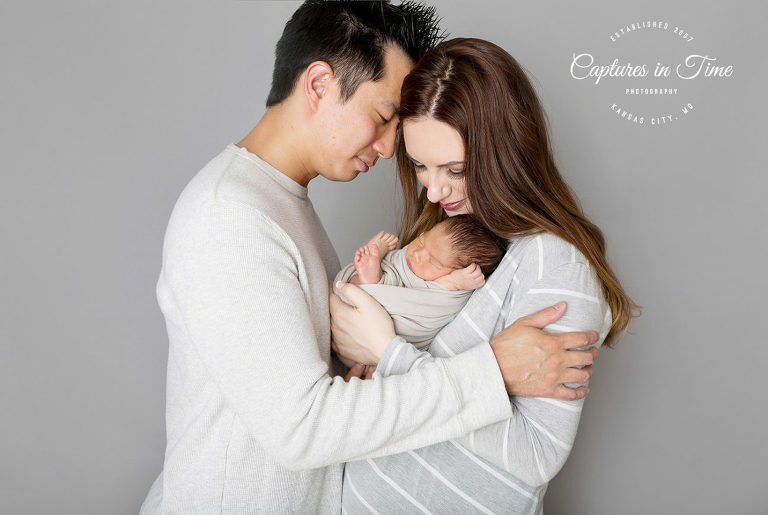 They were very flexible when Patrick arrived a month early and her maternity makeup session turned into a newborn makeup session! It is best to pre-book a company with more than one makeup artist with weekday availability. Babies have their own timeline of arrival and makeup artists can be very busy on weekends and most likely your session appointment will be on a weekday with me. You can either have the makeup artist to come to your home before you head to the studio or before I head to your home for a lifestyle session. Or, you can have them meet us at the studio and I will do the baby only portion of your session while you get ready in our makeup and viewing room that is cooler in temperature than the cozy shooting area and dad can hang out with us until you are ready. You just had a baby and there is nothing better than having someone one come and pamper you, too! Not sure which way to go with options for mom? Take a peek at our newborn and parent portfolio to see both natural and more made-up looks. We’re going to make you look gorgeous no matter what because all moms are beautiful. Take a peek at little Patrick’s grey and blue session. I really love mom’s red hair and bolder lip color with this grey background. Mom went with grey on grey for the parent series. It looks so cohesive and like it was styled with intent and forethought. She likes a minimal and modern look, so I kept that in mind with Patrick’s solo images as well. 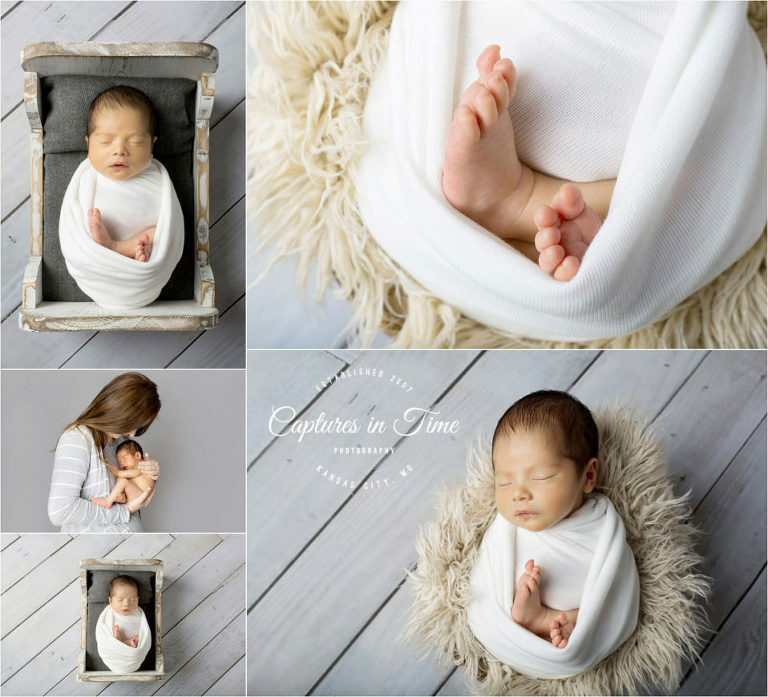 Thinking about your own newborn session? Contact me with any questions, big or small. 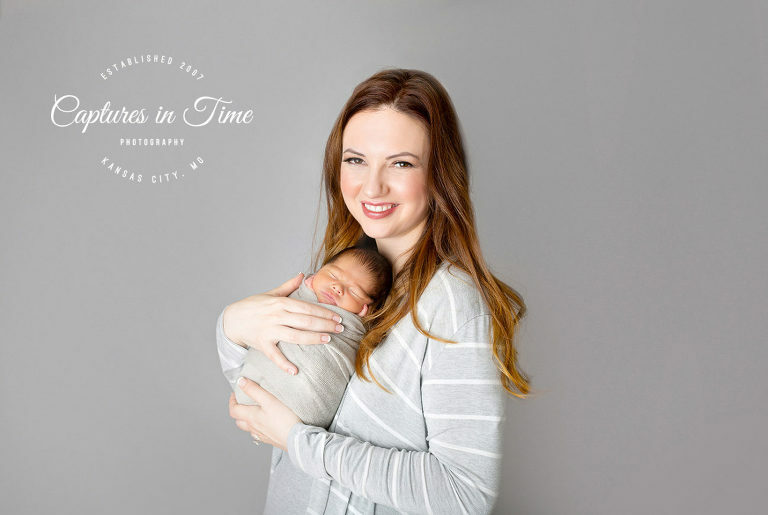 We’d love to be your newborn photographer!